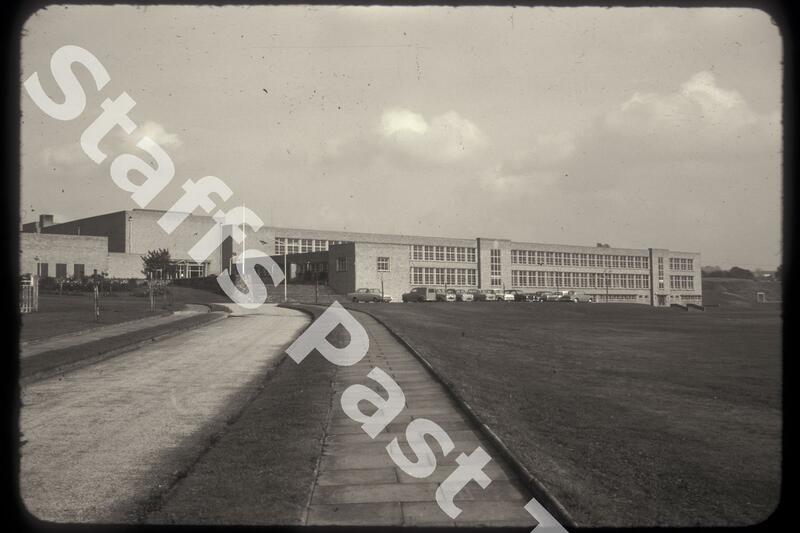 Description:A photograph of the south side of Hanley high School on Corneville Road in Bucknall. Originally a coeducational school in the centre of Hanley, a new boys grammar school was built Bucknall in 1952. This became an 11 to 16 comprehensive school in 1970 and was incorporated into the Mitchell High School in 1990. The site was abandoned and the building largely demolished. The demolition of Hanley High School.